I was asked to join a few moms sharing their experiences with Down Syndrome and Autism at Animated Child yesterday for World Down Syndrome Day. 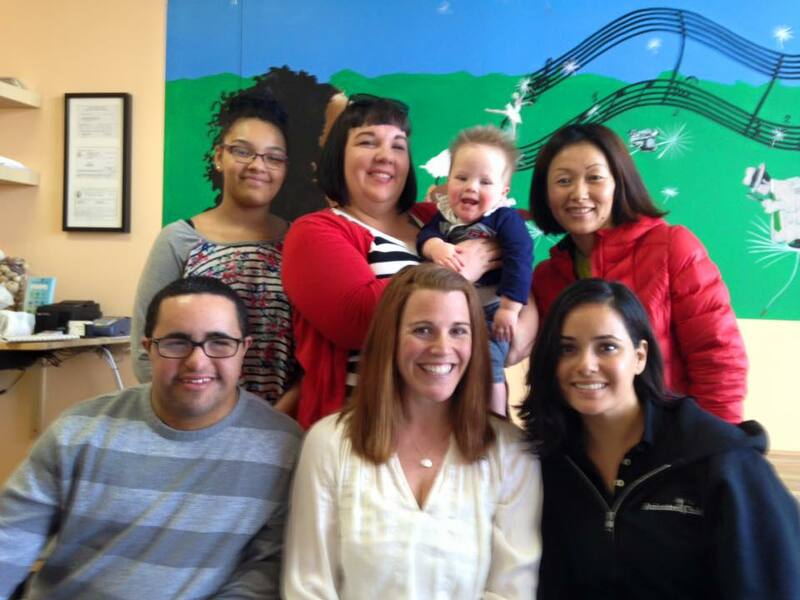 I met with Yukiko, Heather, Devin, Amanda, and Drew (who, I would like to point out, I gave back to his mother, but only because I had to) to talk about some of the joys, challenges, and helpful organizations when you’re raising a child with a disability. First of all, Devin and Drew were both the sweetest ever. 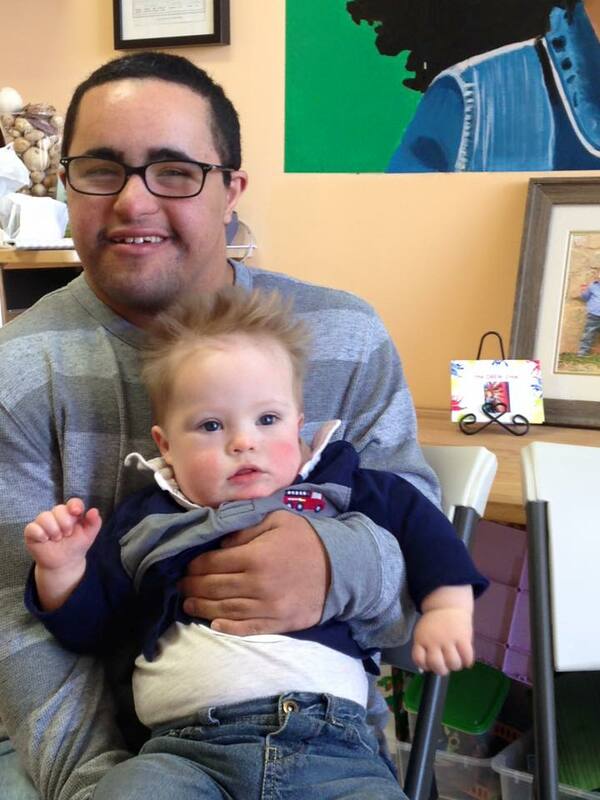 Devin is a 22 year old man with Down Syndrome, and he lives independently. He has a job at MCBQ working in the mess hall, and his own apartment. He is polite and kind, and any mom would be proud to have raised such a young gentleman. Drew is 18 months old and the cutest toddler ever. He let me hold him while I filmed and was just so happy to play with his socks I can’t even tell you. (I learned I cannot turn my camera when I periscope I can’t turn the camera- sorry about that!) If you watch the video until the end, you’ll see him find himself in my screen- ADORBS. Speaking of socks, the theme of the day was “rock your socks off”, and nobody told me, which made me so sad. I did not wear cool mismatched socks and it kind of threw me off my game that there was a time and a place for my embarrassing sock collection and I didn’t get to take advantage of the opportunity. 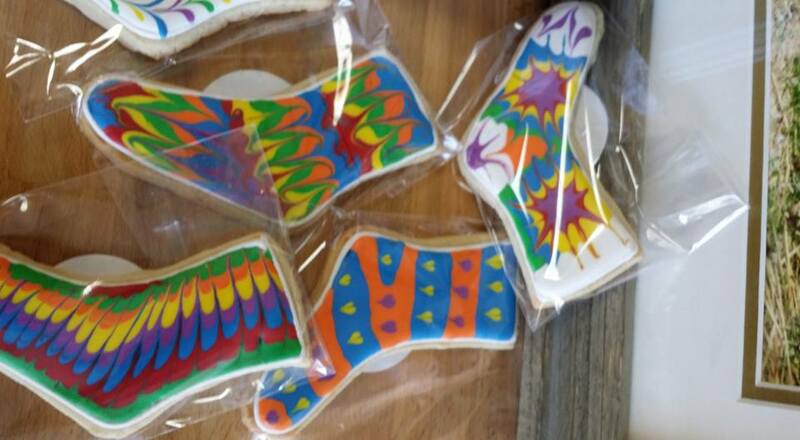 There were even sock cookies from Heiseycakes, you guys….sock cookies…. But, that’s okay, because I got to chat with these cool people 🙂 Here’s a copy of our Periscope chat since it was the middle of the first day of spring break and a lot of you probably didn’t get to watch! Obviously there is a lot to learn and know when you have a child with special needs, and I can’t even pretend I know what that has to be like. However, I want to say that all three of these moms were amazing, and I didn’t get to meet Yukiko’s son, but Drew and Devin were just amazing kids, well- kid and adult- and it was such a pleasure to meet everyone and hear more about their experiences. If you have additional questions for any of the moms, I would be happy to put you in touch. If you don’t have a child with special needs, I just want to reinforce what Amanda said about going up and talking to families who are out with children who might be different than yours. You probably shouldn’t instantly steal their kids (like me- although I did ask first) but don’t be afraid to go up and talk to someone- you might find out that they’re a lot more like you than they are different.